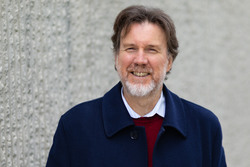 Ian Bushnell is a career journalist and a former News Editor and Chief of Reporting staff at The Canberra Times, where he was at the centre of some of the capital’s biggest stories. He has found Canberra to be the most liveable city in Australia, and that it’s a reputation worth fighting for. He enjoys the ACT’s bush environment and its rich cultural offerings including music, theatre and sport, although as a Collingwood supporter the Giants will always be that other Sydney team. A lover of fine reds, he believes Canberra is blessed to have so many great wineries on our doorstep.